With more people brewing their own concoction, Zythos Project created a growler to store and transport the much-needed happy hour brew. 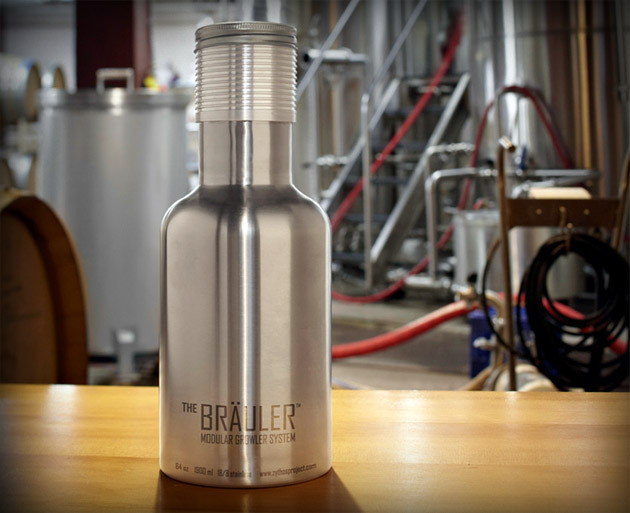 The Bräuler ($TBA) is a standard 64-ounce growler system made of lightweight, food-grade stainless steel. that won't shatter or chip. It feature details like a wide mouth design that's easy to fill and clean and is, 100% light-proof, deep-threaded cap that holds carbonation and freshness longer, and a unique threaded exterior collar that can accommodate multiple accessories.